Below are new deities introduced through the Sagas of Golarion. The Dreaming Flame believes that she is a guiding light, not toward salvation, but to an unknown and inexplicable point in the future where all of her machinations come true. As such, her fleeting collection of worshipers are seen as pawns and pieces in her grand machinations. In their eyes, the Dreaming Flame is a knowing and portentous figure who sees further and with more clarity, a seer and sage to consult for wisdom and knowledge. The Dreaming Flame provides information, but only ever what she feels is essential to her long-term goals, even if her followers don't realize the true nature of their arrangement. She will be whatever her followers need or want in order to secure their assistance, and as such her dogma is as enigmatic and fluctuating as her own goals. The Dreaming Flame's history is unreliable at best, depending on the sect that venerates her. As such, she is also known by many names. In Avistan, she is known as Aslynn the Lantern Bearer, in Arcadia she is known as His'mahaluk'ah the Hag, and in Casmaron she is called Israhal the Dreamthief, and in Tian-Xia she is Kasuri the Weaver. She is likely worshiped elsewhere, but conceals her identity even further. Among all of her different cults and sects, the Dreaming Flame maintains some similarities in her mythological history. In all accounts of her legend, the Dreaming Flame is born to a twin brother and is bitter and implacable. She is often seen as a creator, birthing mortal races through deceit, trickery, or magic. 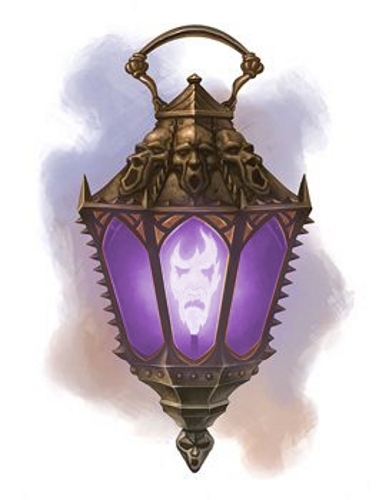 She is also legend to have stolen a powerful entity and imprisoned it in her lantern. In some stories it is a spurned lover, in others a former deity, and in others it is her own soul. In many tales the Dreaming Flame is a wild and untamed force living on the fringes of society, and as her cults and worshipers tend to be found in wilderness and frontier regions, this much seems to have some truth to it. Often times she is purported to have a fondness or connection to animals more so than mortal creatures, though this doesn't carry across all interpretations. Every telling of her history indicates that she has great knowledge and vast magical power, though whether it is used for good or ill depends on the region the tale is coming from. One thing is certain, however, no one knows the truth. The Dreaming Flame counts deities concerned with fate and the dimension of dreams as allies. She is often consorting with the likes of Desna and the Black Butterfly. She has a professional respect and admiration of Pharasma, and consorted with the lost deities Aroden and Lissala. The Dreaming Flame calls the Lantern King of the Eldest an ally, though one often kept at arm's length. The Dreaming Flame roams the Dimension of Dreams, claiming the entire plane as her domain. Should she have a home realm its nature and name is unknown, even to her followers. Most often the Dreaming Flame appears as either a tall and imperious night hag with eyes of green flame and cloven hooves, carrying an ornate lantern. Alternately she appears as a stooped old woman of whatever race or ethnicity is local to her worship at any given time. The Dreaming Flame generally communicates with her followers through dreams, sending images, feelings, and cryptic messages that often require considerable study and attention to decipher. The Dreaming Flame often speaks in riddles and half-truths, trusting those she communicates with to be bright enough to puzzle out her true meaning, or perhaps what they believe is her true meaning, setting them off on a path of her design. When displeased, she entreats her enemies with nightmares and waking hallucinations of horror and dread. The Dreaming Flame counts owl and will-o-wisps as her servants, sending these creatures as messengers or emissaries when she needs to communicate a point or deliver a warning. The Dreaming Flame will also sometimes create tulpa (Pathfinder RPG Bestiary 5) to act as messengers or servants, typically copied from people she wishes to communicate with or their friends and close relatives. The Dreaming Flame has no known herald. As more of a cult or divine figure to be appeased, the Dreaming Flame has no organized church or structure and means of veneration tends to vary from region to region. She is displeased by churches or places of worship that are not part of the natural world and will work to destroy likenesses of herself that are created in graven image or other media. Worshipers of the Dreaming Flame tend to be solitary seekers of power or knowledge who believe they are coming to her of their own accord, but in truth have been manipulated or otherwise led to such a point of providence. Those rare few who stumble upon the Dreaming Flame of their own accord quickly gain her interest, which may be detrimental or beneficial depending on how interesting she finds them and their potential. The Dreaming Flame has no known holy texts and all of her teachings are passed down orally, lending to these stories mutating and changing over time, further obfuscating the truth of her identity. The Dreaming Flame counts owls as her closest favored beast, though she also reveres any horned beast such as deer, elk, bison, and the like.